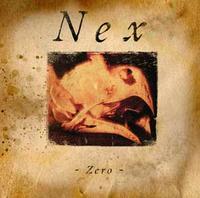 "Zero" is the debut album of Swedish doom trio NEX. The album was recorded in January 2007 in Necromorbus Studio, Sweden, and features six tracks of nostalgic Doom in the vein of early MY DYING BRIDE, CANDLEMASS, ANATHEMA and KATATONIA, just to name a few. with Necromorbus, Nominon & Bergraven members!